In today’s global environment, the decision to further an education abroad is a bold step that reflects an individual’s desire to learn new ways of life, experience different cultures and traditions, and contribute to the development of cooperation and peace amongst people. The old notion that most Africans travel simply to seek greener pastures and a better life elsewhere is a thing of the past. Today educated Africans travel to the United Kingdom, Australia, New Zealand, Canada and United States to further their education, and return to develop new businesses and industries at home, using tools they have acquired abroad to raise the living standards and providing employment for their fellow country men, and empowering the youth to forge ahead toward their own accomplishments. Studying abroad can be the first step in a truly virtuous cycle, but for many students that first step presents a huge challenge. For any African attempting to study abroad in a western country there are a myriad of requirements involving income, status, and educational background. While many of these requirements, though daunting, are fairly reasonable others prove to be completely frustrating for students, stifling their dreams and forcing many to simply walk away. One of the biggest examples of this is the requirement to prove English proficiency through TOEFL or IELTS testing. This single requirement can completely stifle the hopes of a student despite any of their academic achievements, and completely end any plans for studying abroad. Countries like Sweden, Norway and Finland are all moving towards the provision of this requirement before admission, so it has become imperative for the International community to finally recognize the reality of this situation, and the impact of policies that promote this testing. 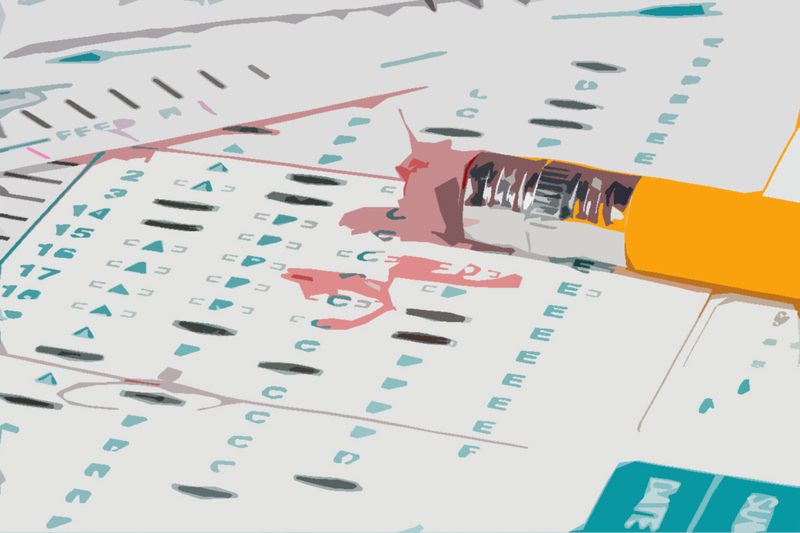 The “IELTS” (International English Language Testing System) and “TOEFL” (Test of English as a Foreign Language) are standardized tests used by universities to assess the English language ability of applicants. 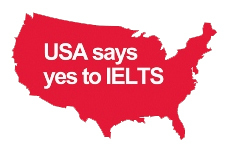 IELTS is widely used in the UK and Australia and also recognized by most American and Canadian universities; IELTS assesses all of your English skills — reading, writing, listening and speaking, and is designed to reflect how you will use English while studying, at work, and at leisure in your life abroad. The TOEFL is used mainly by American Universities, though also accepted in the UK and Australia. This test not only serves as a requirement for admission to most Universities abroad, but also as a requirement for the acquisition of a visa. ● Hold a degree that was taught in English and is equivalent to a UK bachelor's degree or above. None of the above exemptions are considered politely when an African requests them. They are either told that they do not form part of the category or that their level of English proficiency is not accepted. In the research report by Glenys Merrifield, “It was also found that language proficiency thresholds could be manipulated to limit numbers of immigrants and relieve pressure on funding of community support organizations. The mad scramble for Africa by colonial powers three centuries ago led to the imposition of culture and specifically language. Most countries in Africa adopted the language of their colonial masters, replacing the traditional local languages. Today, countries like Nigeria and Ghana use English as their official language, while countries like Cote d’lvoire and Togo use French as their official language. The British colonized Ghana and Nigeria and imposed English upon the population by using English as the sole medium of instruction in their educational systems. It is bizarre that the UK today requires its own former colonies to prove their English proficiency level, were they such inadequate instructors of the English language? Education in West Africa, particularly in Ghana and Nigeria is still done in English. Instruction and daily duties and responsibilities are conducted using the English language. English is the medium of instruction from the crèche level to the University level. Every student who in one way or another gets the opportunity to sit in class has been taught some level of English, thus most students have a basic level of English and are able to communicate and write in the language. Those who are lucky enough to further their education to the High School level, sit for the West African Examination Certificate, which has a compulsory English language component of reading, writing, and comprehension. Those who are fortunate to move on again to the tertiary level are all given the opportunity to take the famous “Communication Skills” examination. This examination facilitates the deepening of the writing, speaking and listening abilities of most students, it is a potent, well-developed program with a much broader and more comprehensive structure than the IELTS OR TOEFL. The costs associated with IELTS AND TOEFL constitute another layer of issues. These tests are extremely expensive, to a degree, which is completely untenable for all but the wealthiest in Africa, and frequently the western organizations behind these tests formulate corrupt schemes that bilk poor or uninformed students out of their money. Due to the imposition of these requirements by various emigration authorities and universities, many organizations have developed various ways to dupe the poor student who has little or no knowledge about the processes, claiming that additional testing is required or that mysterious fees need to be paid. Although most advanced countries like to refer to Africa as a place of poverty and hardship, they tend not to care much about the various ways they are contributing in making the situation worse. The cost incurred in sitting for one test in Africa is far greater than the minimum wage of most Africans. Most people who are able to afford this cost are mostly those from affluent homes. What happens to the poor kid at Teshie in Ghana or Oyo Town in Nigeria who is brilliant but financially needy and aspires to travel abroad to further his/her education? The cost of IELT as published by British Council in Nigeria and Ghana shows an amount that is very difficult to get by most students. Although research shows that, almost half of the population in the sub-Saharan Africa lives on less than $1.25 a day there is still pressure forcing many graduates and undergraduates to push the little they have into the pockets of organizations that are providing something they have already acquired. Consider also the principle of Reciprocity: It is not only Africans who travels abroad to study, other countries too do travel to Africa to study, and the question is, are they asked to provide a language proficiency? Since our English language prowess is not accepted internationally even though a simple Wikipedia search shows our official language to be English, should we reciprocate by requiring international students coming to Africa to provide proof of language proficiency in Yoruba, TWI or GA? In a global environment in which the mass movement of people across borders is increasing, immigration authorities need to be increasingly proactive in setting standards that are fair and equitable, but preserve standards of living and work. The use of IELTS or TOEFL is restricting the number of brilliant Africans who wish to study abroad, not because they fail the test, but rather because the system is an abomination. The cavalier attitude taken by western countries while disregarding our educational system is symptomatic of the ugly prejudices left behind by the colonial era. Today Africa is a land of many fluent English speakers and writers, and that’s something the whole world should be aware of. If language is used as a tool of controlling immigration, it provides the platform for countries to use various methods and grounds to prevent the free movement of people. Culture is a way of life, and socialization is the process of acquiring new ideas and experiencing culture and it must be allowed to occur freely and naturally, without force or undue discrimination. *Get Travel Services & Register For An Exam In Nigeria Today !!! Exams & Visa Registras, is a education and travel consultant in Nigeria. We know what you need for TOEFL, GRE, GMAT, IELTS & SAT test/exam registration/training and Travel/Study services in Nigeria. Surf our pages and contact us today, to experience our innovative/effective services. We offer test takers in Nigeria lots of benefits when they register or train with us; from free study materials (official softwares guides & textbooks ) to free online simulation tests.